The PTH110 uses durable laminated and fabric labels that are sun, germ, water and temperature resistant. This means it is equally as effective in the kitchen as it is in the garden. It also uses ribbon tapes which are ideal for arts, crafts and gifting. 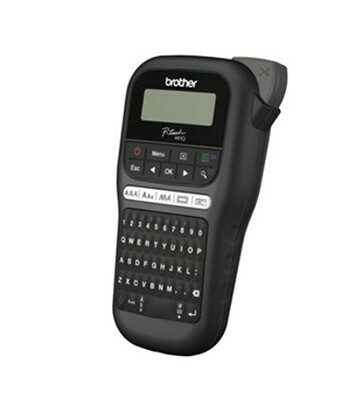 See the manufacturers web site Brother P-Touch PTH110BK for more information.